What Is Kegel8 KE GEL Kegel Exercise Lubricant and How Does It Work? This simple natural lubricant will help you use your pelvic exerciser as effectively as possible, so you get the very best results. 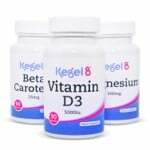 Kegel8 KE GEL Kegel Exercise Lubricant is a water based formula that supplements your body's natural moisture. 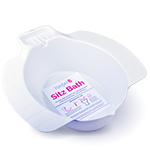 Safe to use with any Kegel8 Probe and machine. Why Should I Use Lubricant with My Kegel8 Pelvic Floor Exerciser? KE GEL Kegel Exercise Lubricant will increase your intimate moisture to help you achieve better results from your pelvic floor workouts. 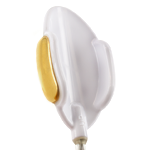 Adding a small amount of lubricant to each of the electrodes (gold parts) of your Kegel8 probe will allow for easier insertion. Add a small amount to your Kegel8 Vaginal Cones for comfortable use. By amplifying your natural moisture, KE GEL Kegel Exercise Lubricant makes your Kegel8 Probe more effective. 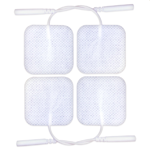 It helps to conduct the electronic stimulation so the electrodes on the probe (gold parts) work more effectively, making the muscles respond quicker and strengthen faster. We particularly recommend KE GEL Kegel Exercise Lubricant when using all Kegel8 Electronic Pelvic Toners; including the Kegel8 Tight & Tone Electronic Pelvic Toner, Kegel8 Ultra Vitality Electronic Pelvic Toner, and the Kegel8 Ultra 20 Electronic Pelvic Toner. KE GEL Kegel Exercise Lubricant can also be used daily to add comfort and alleviate intimate dryness, even when not using your Kegel8 Electronic Pelvic Floor Toner.